A new concept that, for the first time, collects biomechanical data from drivers and riders while on the track could give racing teams a new dimension to optimise their performance. Biomechanics is the study of movement and technique. Historically in motorsports, biomechanical data collection has been lab or simulated based. However, this new approach collects data by attaching sensors to the driver or rider that monitors their 3-D movement as they are performing on the track to investigate and optimise their biomechanics. This includes motion capture data, muscle activity, force and pressure assessment; all of this helps to understand and improve driver and rider technique. The concept has been developed by Motorsport Biomechanics, who have been working with scientists from the University of Portsmouth. 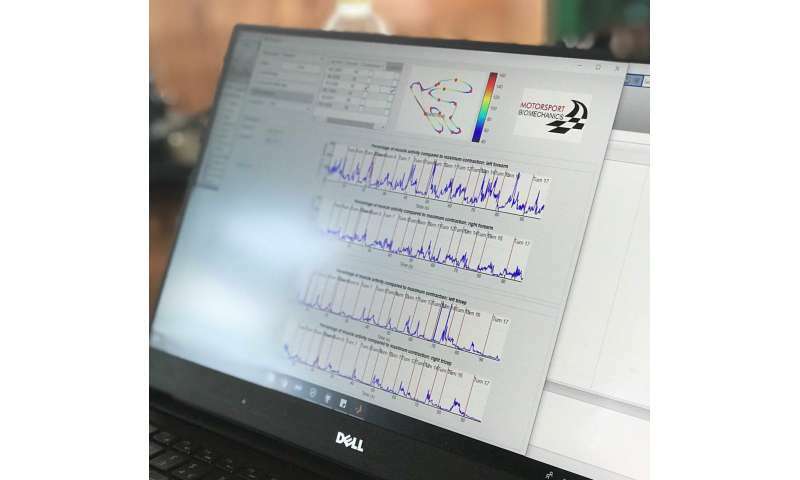 After three years of intensive research and development, Motorsport Biomechanics have now become the first company in the world to offer biomechanical data, which has been scientifically validated with rigorous and robust methods. Motorsport Biomechanics founder Michael Wakefield is an ex-professional racing driver. He and his wife Joanna, a leading Professor of Biomechanics at the University of Portsmouth, were fascinated to learn that, while biomechanics has been utilised to optimise performance with top level athletes in many other sports, it had not been attempted in motorsports. Michael said: "Significant time and money is spent on improving the mechanical performance of racing cars and bikes. However, little attention has been given to optimising the mechanical performance of the driver or rider while racing on the track. For these high performance athletes, it is crucial that their technique and muscle activity is assessed so they can respond to feedback to adjust and improve their performance race-to-race, and lap-to-lap. 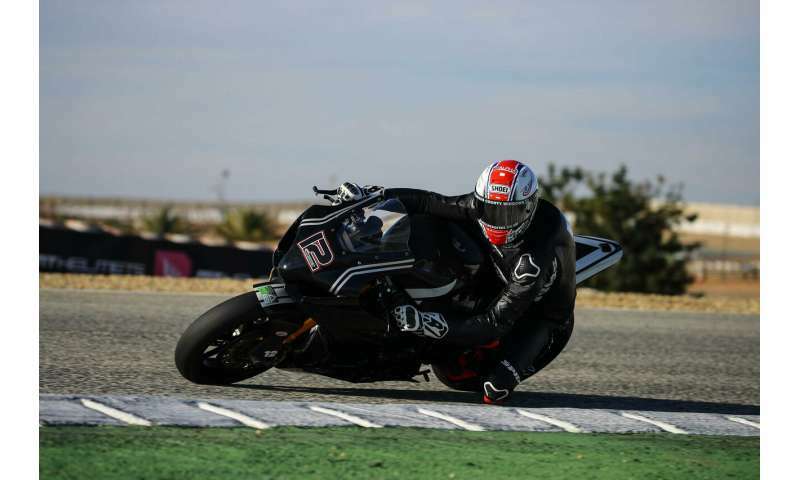 "Working with the University of Portsmouth has given Motorsport Biomechanics the scientific evidence based platform to optimise driver and rider performance on the track." Michael has been working with Dr. Chris Mills from the University of Portsmouth who leads the biomechanical testing and research team. Dr. Mills and the team have spent years developing and refining customised algorithms to process this unique data and present it in a format that is easy for the driver, rider and team to understand and analyse alongside their car telemetry data. Dr. Mills said: "We underestimated just how challenging it would be to assess biomechanical parameters of a driver in the confined space of a car, or on a rider when they are moving around the bike, travelling at high speeds, and with high vibrations. After much research and development, we have now validated unique processes that allow us to collect high quality data on the race track. "Our biomechanics data gives the team a new dimension to understand the performance of their drivers and riders." Motorsport Biomechanics concept began with karting. Having assessed the driver's muscle activity on the track, Dr. Mills and his team identified that the driver was barely using his left arm on right hand corners, something that came as a complete surprise to the racing driver. Armed with this information, the racing driver was desperate to get back out on the track and adjust his driving technique, and subsequent results showed more balanced muscle activity across the drivers left and right arms, and most importantly improved his lap time by three tenths of a second. "This is what makes our service so unique," said Michael. "We were not fazed by the challenges that exist when collecting driver and rider data on the track. We offer a unique insight into driver and rider performance that sets us apart from the standard coaching, physiological, psychological, and training services that currently exist." Michael commented that one of his highlights was to be able to offer endurance drivers the opportunity to determine exactly when muscle fatigue starts to occur when racing. "This offers huge performance benefits to endurance racing teams and drivers across all forms of motorsports. Muscle fatigue data is also invaluable for support teams to optimise off track training," he said. Motorsport Biomechanics have come a long way since this first karting test, having now proved the concept with F3 drivers and British Superbike riders. 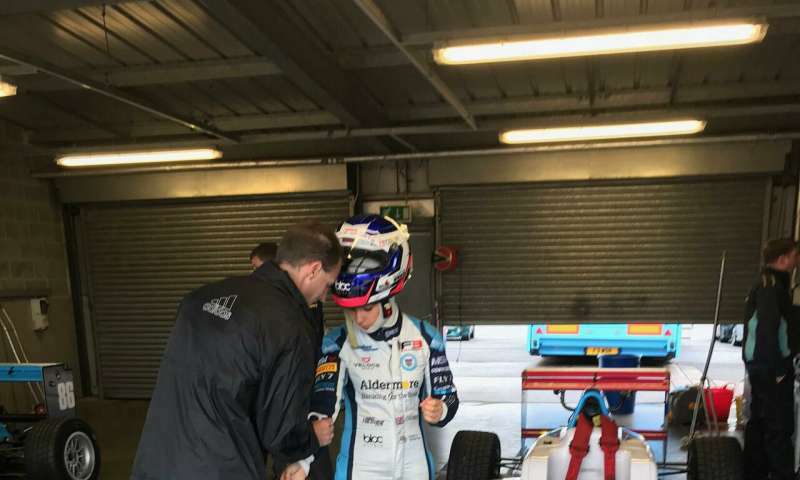 One of the single seater drivers said that the data was "super interesting, definitely something to think about in order to manage fatigue better! There is definitely a lot still to take from this data into my training, but also a few methods to try whilst in the car". From a Superbike rider, "it was very cool to look through data collected by Motorsport Biomechanics. I was very intrigued how my body reacted to suspension/geometry changes on the bike, which proved to be very interesting." This unique, scientific evidence based service continues to grow, offering a variety of services, related to driver and rider biomechanics, across the motorsports world.